Today is the first day of winter and the Winter Solstice. 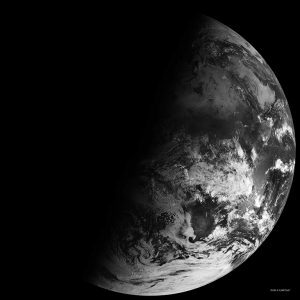 It is the shortest day for the Northern Hemisphere. The Winter Solstice usually falls between December 20-23 and the sun is directly overhead the Tropic of Capricorn resulting in the North Pole being tilted the furthest away. The result is shorter days for sunlight for the Northern Hemisphere. And the further north you are (like Alaska or Scandinavian countries) means less sun during the day. The reverse happens in the Southern Hemisphere as the sun is closer to them and they celebrate the Summer Solstice. Those closer to the South Pole can have nearly 24 hours of sun during this time of year. Winter Solstice seen from space. Many cultures observed the Winter Solstice as it marked an important time in the agricultural cycle. By this time all crops and livestock had been prepared for winter. Important foodstuffs were stored for the months when virtually nothing grew. Wine and beer, which had been fermenting during the year, was ready at this time. Cattle and pigs would often be killed at the start of winter so they would not have to be fed during this time. The early months of winter were tough in many places and often called the “famine months” since little food was to be found. Many cultures observed the Winter Solstice as a renewal or that the year was reborn. For out of the seeming withdrawal of the sun, it would come back just as strong and powerful as before. Thus the Winter Solstice was seen by many as the start of a new year such as the old Roman Feast of the Unconquered Sun (Sol Invictus) which happened around the 25th of December.